The ODNI assists an Israeli spy with early onset Alzheimer's, whose own agency is out to kill her. 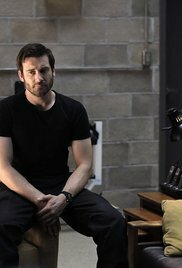 Christina (Jennifer Beals) worries she may face a similar fate as she is threatened by forces within her own organization, and Bryan's (Clive Standen) distrust of Asha (Brooklyn Sudano) leads to a painful argument. Also starring Gaius Charles (John), Michael Irby (Scott), James Landry HÃ©bert (Rem), Simu Liu (Faaron) and Jennifer Marsala (Riley). Guest starring Dominic Fumusa (Harry Ward) and Ayelet Zurer (Leah Wicker).